Panther Alert to keep you informed of emergencies. P.A.W.S. 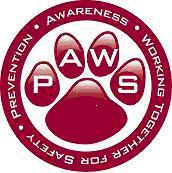 Which stands for Prevention, Awareness, and Working together for Safety. Serial numbers uniquely identify each item/device, much like a finger print. This allows you to more specifically identify your property to the authorities if lost/stolen. If the property is recovered it also makes the process of getting the property returned easier. Print the form and drop it off at Public Safety Dispatch located at 418 N. Glassell any time of day or night. The information will be stored at Public Safety for your reference if something happens to your electronic device. Public Safety will retain the record for four (4) years. 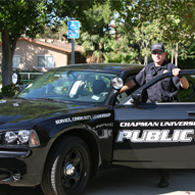 This is provided as a service by Chapman University Public Safety, and by using this service you understand that lost or stolen items are rarely found and retrieved by Public Safety and/or local police authorities, and by providing serial numbers and other identifying information you understand that there is no guarantee that your items will ever be retrieved by the authorities. Users of this service further understand and agree that if you chose to make a report to local authorities, that is your responsibility. 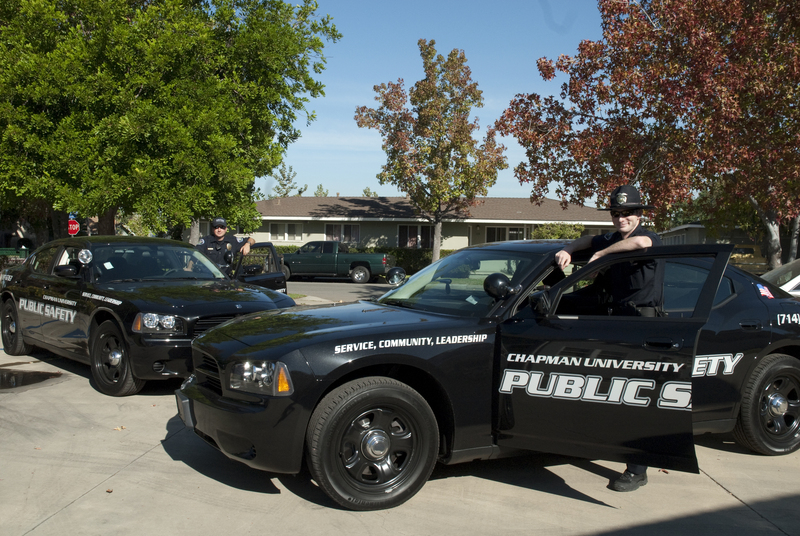 The Mission of the Chapman University Department of Public Safety is to facilitate a safe environment conducive to learning, working, and personal growth through education, engagement, and the development of community partnerships. Communication - "The key to success!" We maintain clear and open lines of communication throughout the community, essential to achieving our goals. Accountability - "We take Responsibility!" We take responsibility for our actions, thereby keeping undesirable results from being repeated, increasing trust and productivity, and furthering our growth. Respect - "We expect no less!" We respect ourselves, our department and our community, and we demonstrate that respect in all aspects of our profession by being fair, inclusive and caring. Empowerment - "Leadership at every level"
We are empowered and empower others to be innovative problem solvers. We find ways to successfully meet the service needs of our community through partnerships designed to maintain a safe and secure environment. If you feel you have been the victim of a sexual assault and have questions or wish to report it follow the link below for more information. This program is intended to encourage faculty, staff and students to report non-emergency behaviors of concern by a Chapman student. Public Safety offers a variety of safety training opportunities. Follow the link below to view and sign up for these safety courses.